Last 2007 La Casa Encendida organised the Sueno de Casa Propia (Dream of a Home of One's Own) exhibition, curated by Maria Ines Rodriguez, in which a series of reflections on housing by artists, designers and architects served as the basis for an analysis of how different contexts produce different strategies for resolving the issue of access to housing. Parallel to the exhibition, a seminar entitled Housing and Domestic Space in the 21st Century was organised. Coordinated by Juan Herreros, an architect and lecturer at the Madrid University School of Architecture, the seminar brought together a group of intellectuals from both Spain and abroad for discussions on this theme. The ultimate aim of the seminar was to raise awareness about architecture's potential role in the current and evident transformation of lifestyles. 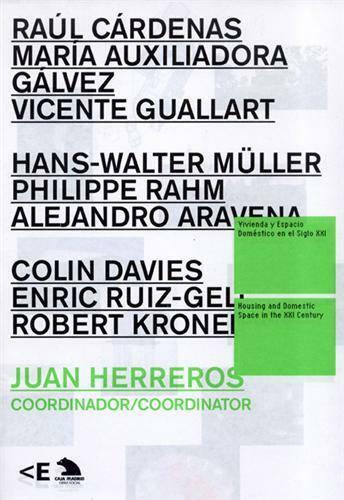 This work is produced with the collaboration of: Raul Cardenas, Maria Auxiliadora Galvez, Vicente Guallart, Hans-Walter Muller, Philippe Rahm, Alejandro Aravena, Robert Kronenburg, Colin Davies and Enric Ruiz-Geli.